Diabetes affects your body’s ability to use or blood sugar (glucose) for energy. Diabetes has many complications including nerve damage, heart disease, stroke, kidney disease, and even blindness. Another, less known, complication, is gum disease. People with diabetes are at higher risk for gingivitis, gum disease, and periodontitis (severe gum infection with bone destruction). 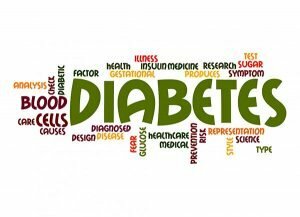 Diabetes affects your ability to fight off bacteria that can cause gum infections. Gum disease can also affect the body’s blood sugar control. Because there are an estimated 1.2 million people aged 2 years and over (5.1% of the population) with diagnosed diabetes in Australia, Warner Lakes Dental thinks it is important that our patients know about the relationship between the two diseases. A 2013 study published in the journal BMC Oral Health found that a combination of the longer people had diabetes, the higher their fasting blood glucose, and the higher their hemoglobin A1C (a measurement of blood sugar), the more likely they were to have periodontal disease and dental bleeding. Those who did not report careful self-management of their condition were more likely to have missing teeth than those who did work to control their blood sugar levels. Therefore, to increase dental health and safe teeth, it is necessary for diabetes sufferers to know what the risks are, and what can be done to protect their dental and overall health. People who don’t maintain tight control over their blood sugar levels are more likely to get gum disease. Also, if you smoke and have diabetes, you’re at a greater risk for oral health concerns than someone who has diabetes and doesn’t smoke. The best way to prevent diabetes-related complications to your dental health is to maintain control over your blood sugar levels. Check your blood sugar regularly and notify your doctor if you cannot control your levels with diet, oral medications, or insulin. You should have an excellent oral hygiene with a regular regimen of brushing, flossing, and visits to your Warner Lakes Dental dentist. You may need to make more regular visits than the normal twice a year. If you do notice any warning signs for gum disease, seek immediate dental treatment. Check your mouth for abnormalities each month. Look for areas of dryness or white patches in your mouth. Bleeding areas are also cause for concern. If you have a non-emergency dental procedure scheduled and your blood glucose is not controlled, you may need to postpone the procedure. Your risk for post-procedure infection is increased if your blood sugar levels are too high. Brush your teeth 30 minutes after each meal. Rinse daily with an antiseptic mouthwash (alcohol free, if you suffer from dry mouth). Denture wearers should remove and clean them daily. Do not sleep in them. Treatments for oral health conditions associated with diabetes are dependent on the condition and its severity. As an example, periodontal disease can be treated with a procedure called scaling and root planning. Your dentist may also prescribe antibiotic treatments. In rare cases, people with advanced periodontal disease require gum surgery to avoid tooth loss. With close attention to your diabetes control and your oral health, you can keep your healthy teeth and gums. Visit your Warner Lakes Dental on your recommended schedule and discuss your diabetes, symptoms, and any medications you are taking. This information can help us provide the best treatment. Warner Lakes Dental wants your visit to be the quickest and most convenient dental experience possible, and one with little or no anxiety! Your credible dentist at Warner Lakes makes sure that everything is hassle-free. From parking to treatment, we try to make the entire process as simple and painless as possible! Call us for information on (07) 3448 0162 or request your appointment online today!